New comfort in the heart of the tradition rich trade fair city: The ibis Leipzig City hotel is in a uniquely convenient location, just 0.1 miles from the main train station with direct connections to Leipzig Halle Airport. We have 125 air conditioned rooms in which you can sleep peacefully thanks to the soundproofing and extra comfortable Sweet Bed by ibis beds. WIFI is available free of charge in your room and throughout the hotel. You can park your car cheaply in the adjacent undercover car park. The ibis Leipzig City hotel offers you a new level of ibis comfort. The interior features high-quality materials, warm colors and maximum functionality. 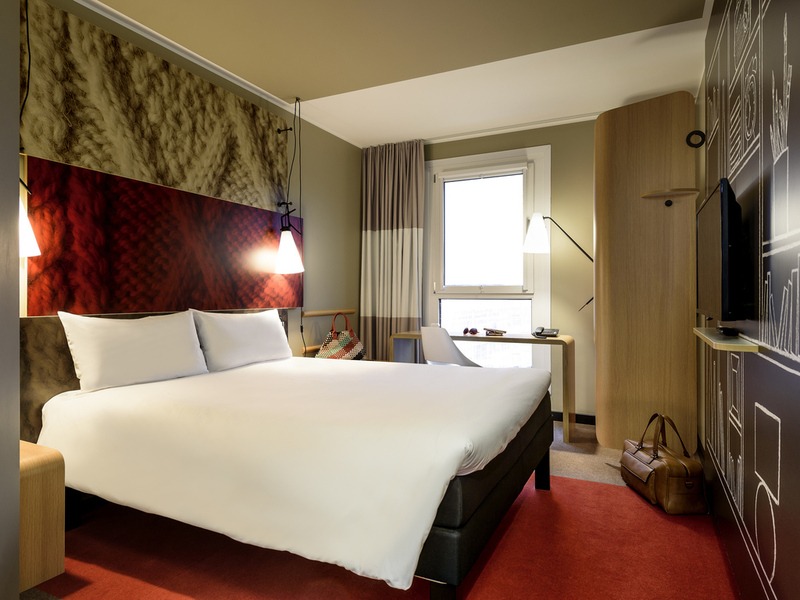 All 125 rooms are equipped with Sweet Bed by ibis beds. Give yourself a break and forget about the time in the bar of the ibis Leipzig City hotel: Our team is here to serve you around the clock. Order cold beer, drinks, refreshments and delicious snacks whenever you want them.